The humble French fry—so often relegated to the role of a caloric afterthought cowering on the side of the plate. Not so at Flight Wine Bar, where the fries are fermented. Based on the classic combo of salt and vinegar, Chef Bradley Curtis takes the mess out of it by fermenting potatoes with a simple solution before they hit the fryer. You’ll find these zippy spuds next to The Best Thing on the Menu: Pulled Duck Sandwich with Spiced Berry Reduction and Napa Cabbage Slaw. Duck is auditioning in this dish to take the pulled pork world by storm. It holds moisture really well, and lends a little bit of gaminess. 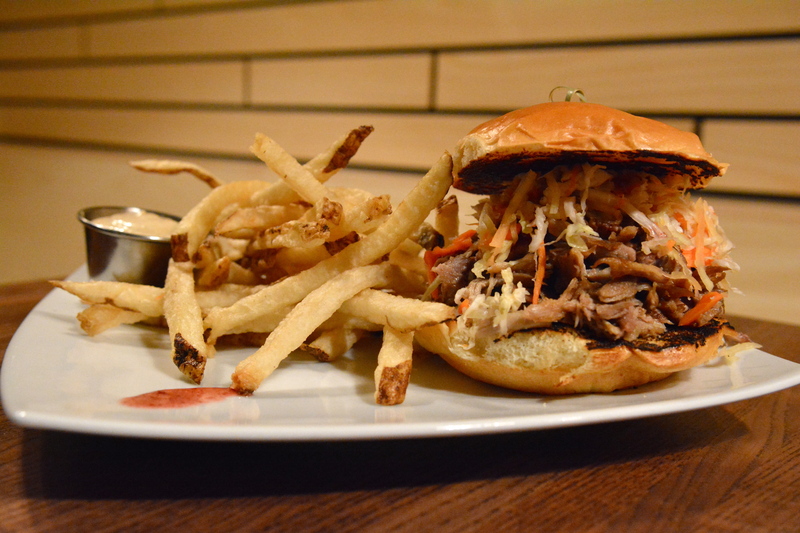 The pulled duck sandwich is actually a little bit of an anomaly at Flight. 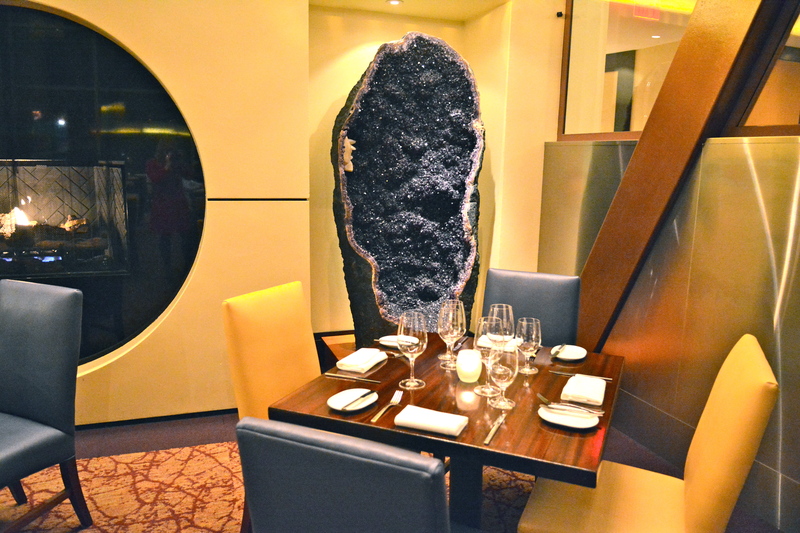 Much of the menu has notes of Mediterranean and North African influences. 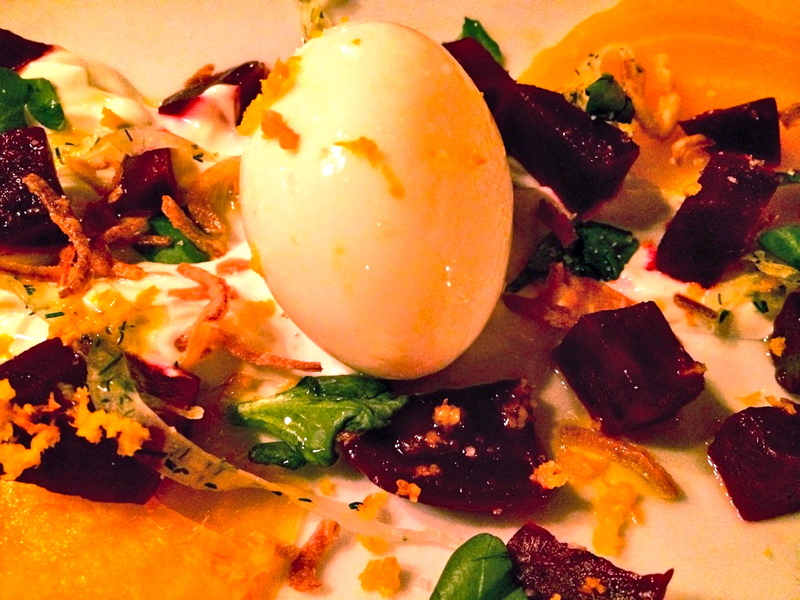 Standouts include the sumac bronzino, squash dolmades and roasted beet salad featuring a perfect soft-boiled egg. 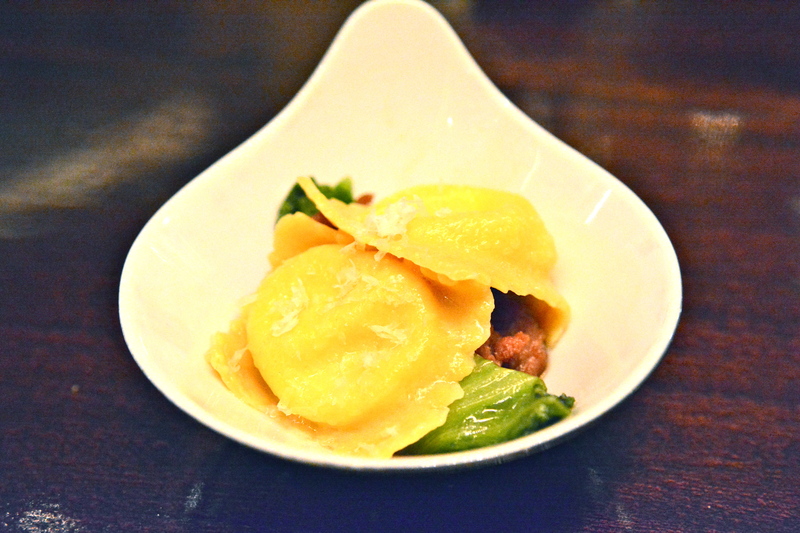 Italian, Japanese, Korean, Spanish, Mediterranean, Whatever…all menus should have at least one bursting egg. In the case of this salad, the egg yolk replaces any need for dressing. Flight is a wine bar after all, so if you see either of the husband/wife owners, be sure to ask their opinions on what to drink. Swati Bose and Kabir Amir can help with pairings, or challenge you to try something from a lesser-known wine region. Pulled duck sandwich not your BTM? Share your favorites in the comments section. You might also like Cork or Proof. 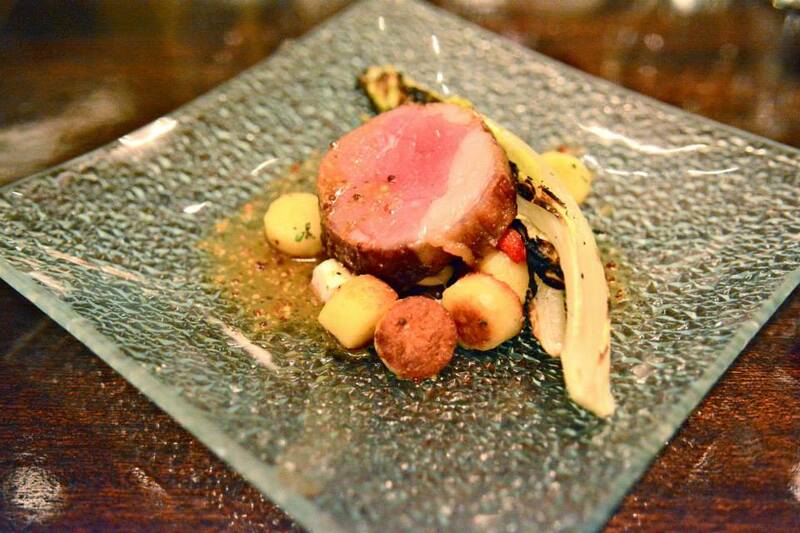 Urbana’s has a shiny new chef, Ethan McKee. That means a brand new Mediterranean menu and it’s safe to say that the fish dishes steal the show. 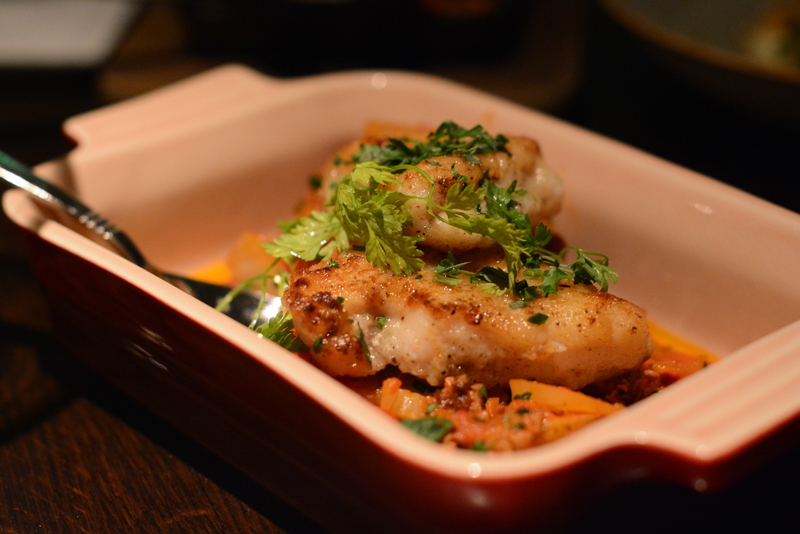 The Best Thing on the Menu: Monkfish with Merguez, Roasted Peppers and Fennel comes in Le Creuset-like serveware. This firm fish won’t win a beauty contest any time soon but it sure goes well with smokey meat. Typically monkfish is served with bacon or prosciutto, but at Urbana, Chef McKee uses gamey, sweet and spicy merguez sausage. Pair the monkfish with an herbalicious house-bottled fernet cocktail to cut the jammy tomatoes and salty sausage. Fernet is having a real renaissance. Del Campo is also bottling its own fernet and cola. Fernet’s an awesome aromatic flavored with the likes of chamomile, cardamom, saffron, and myrrh. The booze? It’s typically made from grape distilled spirits. 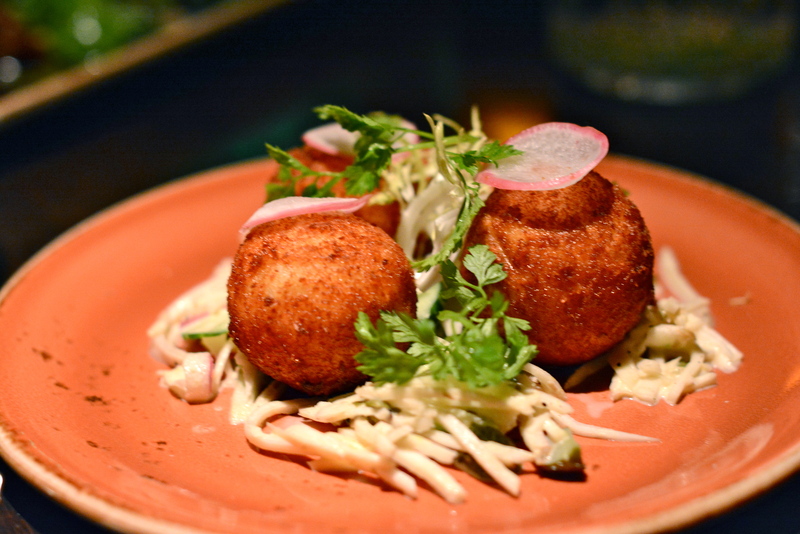 Other top fish dishes on the new Urbana menu include the Salt Cod Brandade Fritters with Celeriac Remoulade, which are nice and fluffy thanks to being soaked in milk, as well as the Spanish Dorade which comes will kale that rocked our world. Save room for dessert and pick whatever they’re serving with their exquisite honey-thyme ice cream. 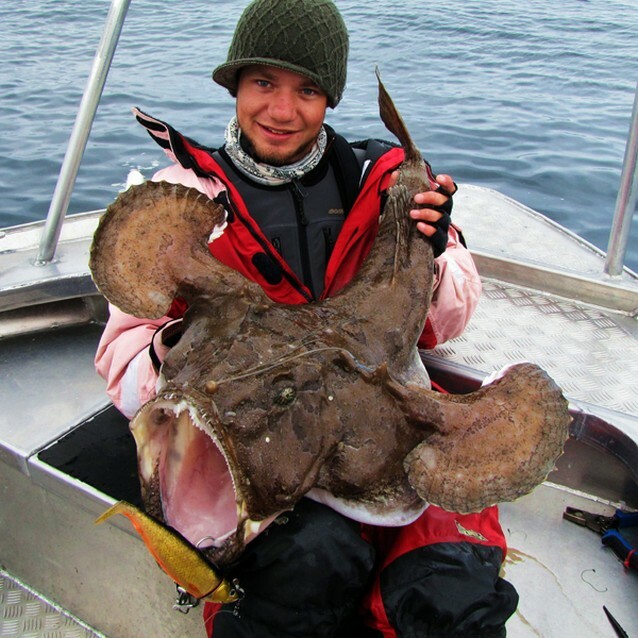 Monkfish not your BTM? Share your favorites in the comments section.